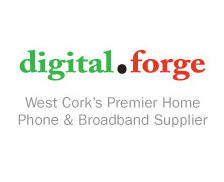 Digitalforge mobile rates are now only 7 cents per minute to Vodafone and O2 anytime of the day or night from your home phone. Compared with other providers who may charge up to 30 cents per minute our rates are incredible value for money. To avail of these new rates with our Broadband and Phone service check out our packages from only €49.99 per month.